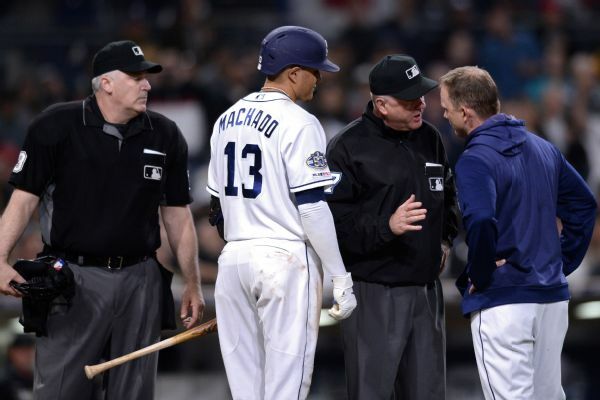 Padres manager Andy Green was ejected for arguing after Manny Machado was called out on batter's interference after dropping his bat near catcher John Ryan Murphy as Murphy tried to catch a popup. 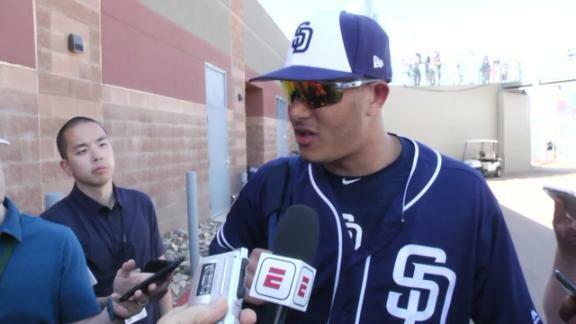 Manny Machado discusses his first game with the Padres and how special Fernando Tatis Jr will be down the road for the Padres. 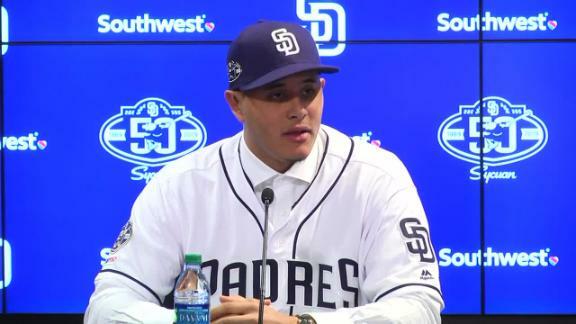 Padres mega-signing Manny Machado says he has come to accept his role as a "villain" but adds that he will always play the game his way. 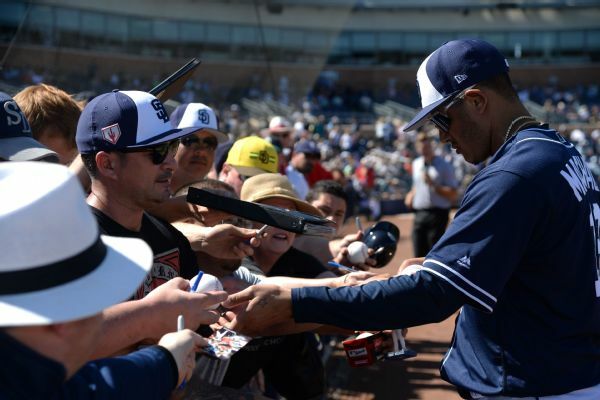 The San Diego Padres have generated nearly $3 million of additional ticket revenue in the two weeks since Manny Machado agreed to a 10-year, $300 million contract, according to the team's president of business operations Erik Greupner. 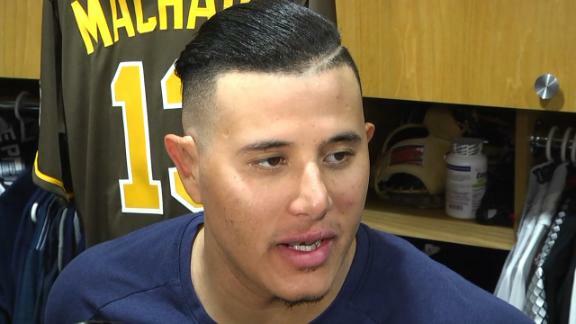 Manny Machado likes the Padres' chances to make the playoffs but believes it will be tough to take down the Dodgers in the division. 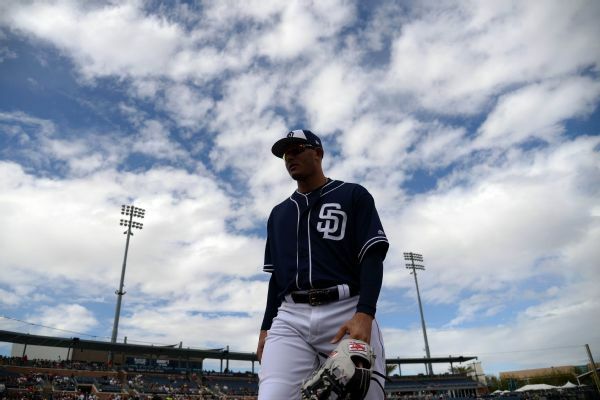 Manny Machado's debut in a Padres uniform was a lot less eventful than his free agency: He popped out in his first at-bat and drew a walk in his second, and he exited Saturday's Cactus League game after three innings. 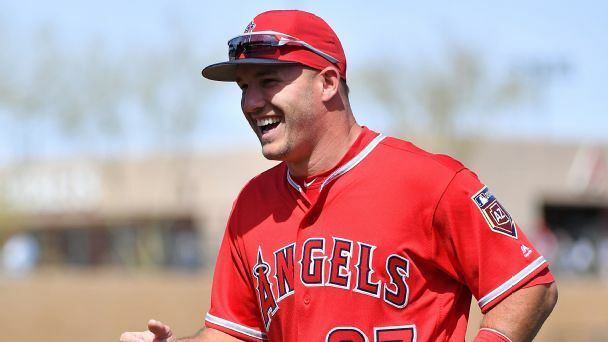 Padres' general manager A.J. 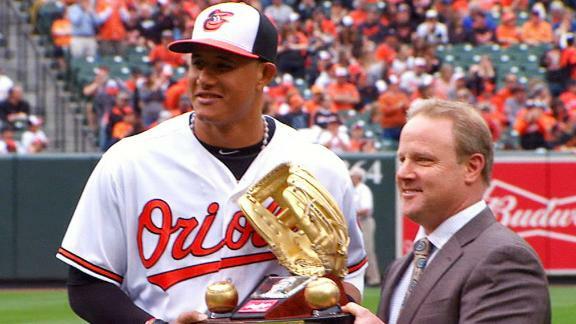 Preller says he initially thought it would be a 'pipe dream' to be able to sign Manny Machado. 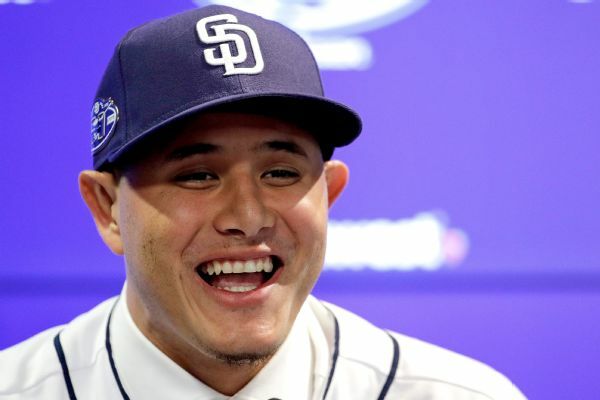 Manny Machado is looking forward to playing for the Padres and helping out their young core.